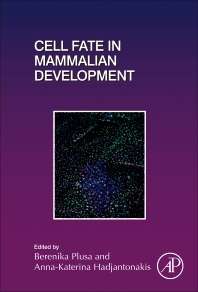 Cell Fate in Mammalian Development, Volume 128, the latest release in the Current Topics in Developmental Biology series, provides reviews on cell fate in mammalian development. Each chapter is written by an international board of authors, with this release including sections on the Specification of extra-embryonic lineages during mouse pre-implantation development, Cell polarity and fate specification, The circuitry that drives trophectoderm identity, Breaking symmetry and the dynamics of transcription factors directing cell fate specification, Mechanics and cell fate, How physical properties of cells change in development and their effect on cell fate decisions, and more. Anna-Katerina (Kat) Hadjantonakis received a BSc in Biochemistry in 1990, and PhD in Molecular Genetics in 1995, from Imperial College, London. 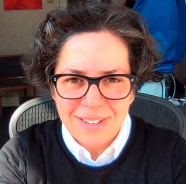 From 1996 to 20013 she undertook postdoctoral studies with Andras Nagy and Janet Rossant at the Samuel Lunenfeld Research Institute, Toronto, and Ginny Papaioannou at Columbia University, New York. In 2004 she established her independent laboratory. She is currently a Member of the Sloan Kettering Institute and a Professor at Cornell University. Kat Hadjantonakis serves on the editorial boards of the journals Development, Developmental Cell, Developmental Biology, BMC Biology, and Genesis. She is the Section Editor in Early Patterning at BMC Developmental Biology, and deputy editor-in-chief at Biology Open. The long-term goal of research in the Hadjantonakis lab is to decipher mechanisms underlying cell lineage specification and tissue morphogenesis. They use the mouse as a predominant experimental mammalian model. They focus on a continuum of events taking place within the mammalian embryo that are bookended by two distinct but interrelated biological processes: blastocyst formation and gastrulation. Quantitative single-cell resolution analyses are a hallmark approach they take.